Do you want to receive a postcard from my country, the amazing Dominican Republic? Hello. As a postcrosser, I'm open for swap, but I have some conditions you may agree with, if you want to swap with me. 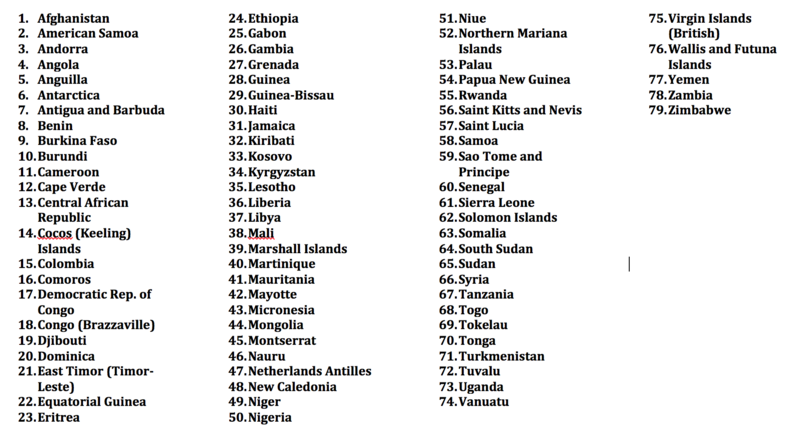 If you are not from my missing countries, mail me your offers. It would be great if they are related to my favorite topics. Keep reading. My favorite topics are: Recipes, science, scientists, astronomy, astronauts, fashion, world famous rock stars/rock bands, important people of the history, presidents, chemistry, technology places, technology, pirates, the discovery of America, Christopher Columbus, Francis Drake, Hernán Cortés, energy, enviromental stuff, police, army, Christian Bale, IMDB top250 movie posters, USSR, Yugoslavia, anything related to Nikola Tesla (coins, banknotes, stamps, whatever), United Nations, OTAN, Silicon Valley enterprises, Star Wars, Batman with Batman Stamps (USA), Alice with Alice in Wonderland stamps (UK), Star Wars Stamps, Gustavo Cerati/Soda Stereo, Héroes del Silencio/Bunbury, Joaquí Sabina. I request photo proof, this is, a picture of the postcard, where I can see my name and address on it, and the stamp, stamped to it, but hiding the message (you can take the picture before you write the message). I do send photo proof as well. This is mandatory. I have a gallery with postcards for swap. You can check it HERE. Be sure to read the titles because some postcards might not be available. 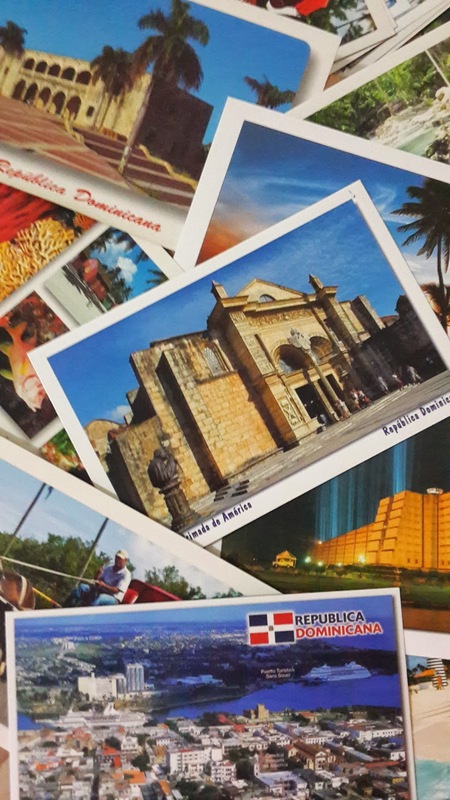 Postcards sent from the Dominican Republic can take from 30 days to 60 days to arrive (even more if it's traveling to Asia, Russia, Middle East and African countries). Not printed postcards, and just handwritten, please. No maxicards, unless if you're from my missing countries. I just swap for postcards. I DONT send FCD, Mints, Banknotes, coins, magnest, etc, If you're from one of my missing countries list, maybe I'll agree to swap for any of this. If you're from any of the countries listed in red, I'll just swap if you have postcards related to any of my favorite topics, listed in pink. If you don't have any of my topics, I'm afraid I WON'T swap since I have too many postcards from these countries. US Virgin Island and territories. So, if after reading all this, you agree with my conditions, then send me an email with your offers to idrialis @ gmail.com, be sure to include the word POSTCROSSING on the subject, this way I will be able to see it. You have provided very good information and this is very important. And people get a lot of benefit from reading such valuable information. Such a wonderful art,always love to see these types of creation by such a talented peoples. You have provided very good information through blog and it is very important. I was searching for similar information for a long time, which is received through your blog .Thank you so much.